At an exclusive event at the Smithsonian Museum of American History on Feb. 16 in Washington, D.C., JACLers were treated to experience the preopening of the new exhibit “Righting a Wrong: Japanese Americans and World War II,” which officially opened on the 75th anniversary of the signing of Executive Order 9066. The evening opened with a taiko performance that captivated attendees’ attention to the stage, setting the tone of the event with the familiar sounds that every Japanese American connects with. JACL was one of many organizations that sponsored this exhibit over the course of the past two years, in addition to the Terasaki Foundation, AARP and the Japanese Embassy. Ceremony speakers included David Skorton, first secretary of the Smithsonian Institution; John Gray, director of the National Museum of American History; Mark Terasaki from the Terasaki Foundation; Congresswoman Doris Matsui; Congresswoman Mazie Hirono; Ambassador Kenichiro Sasae and myself, representing JACL. Each speaker had a powerful message of strength and courage that was exhibited by all Japanese Americans that were forcibly removed from their homes, and each thanked the Smithsonian for taking the time to assemble the powerful and incredibly moving exhibit. Each reveled about the coincidental timing of the exhibit and its relation to current events — society needs this educational exhibit now more than ever. The theme “Never Again” is repeatedly echoed. Attendees were treated to displays of artifacts that were donated by families that were incarcerated. We saw sports items such as golf clubs and baseball mitts. Suitcases made of woven natural fibers were delicately on display. These items are so real — one wants to touch them and make a physical connection to someone’s past, but they are all properly protected under glass. The actual exhibit expands to several rooms and is filled with photos and messages that we, as a community, have long desired the world to know about. 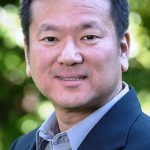 It tells the story of how 120,000 Americans of Japanese descent were uprooted from their homes and livelihoods and the four-year journey that forever defined those lives because of E.O. 9066 and World War II. At the center of the exhibit is a large three-panel display, well lit in a glass cube, with typewritten words and a signature at the end. This was THE Executive Order 9066. E.O. 9066 put my father, grandmother, uncles and aunt in America’s concentration camps. One can’t help but stare and wonder the power of how these three pieces of paper created such a stain on America’s history. The exhibit continues to show where the camps were and what camp life was like. One can read each fascinating panel and see names and photos — I’m sure there are several, if not more, that are recognizable! It shows how our community developed its resilience and, 40 years later, used this resilience to support H.R. 442. At the end is a large photo of President Ronald Reagan signing the Civil Liberties Act of 1988. The Japanese American internment was the example of when eight of the 10 Bill of Rights was blatantly ignored. 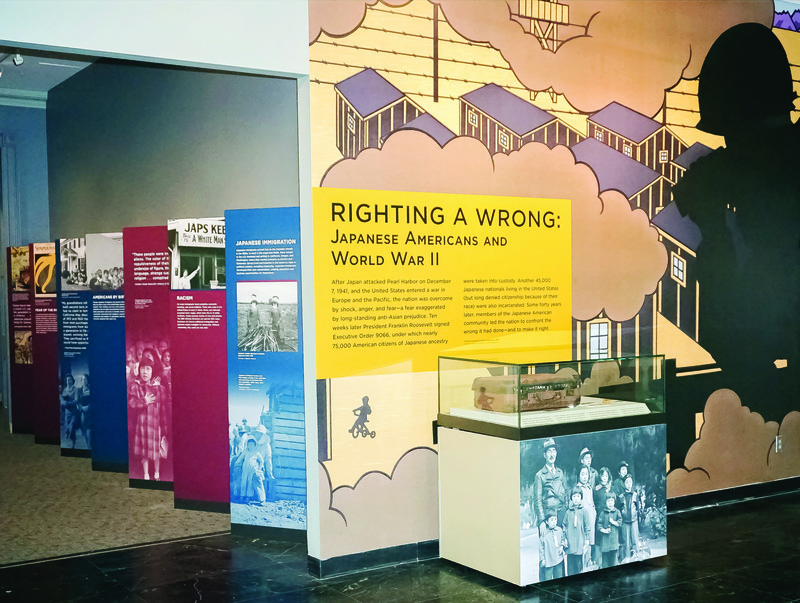 “Righting a Wrong: Japanese Americans and World War II” is an emotional and educational experience that everyone should experience. This exhibit will be a showcase for everyone that attends this summer’s JACL National Convention, which is set for July 6-8 in Washington, D.C.